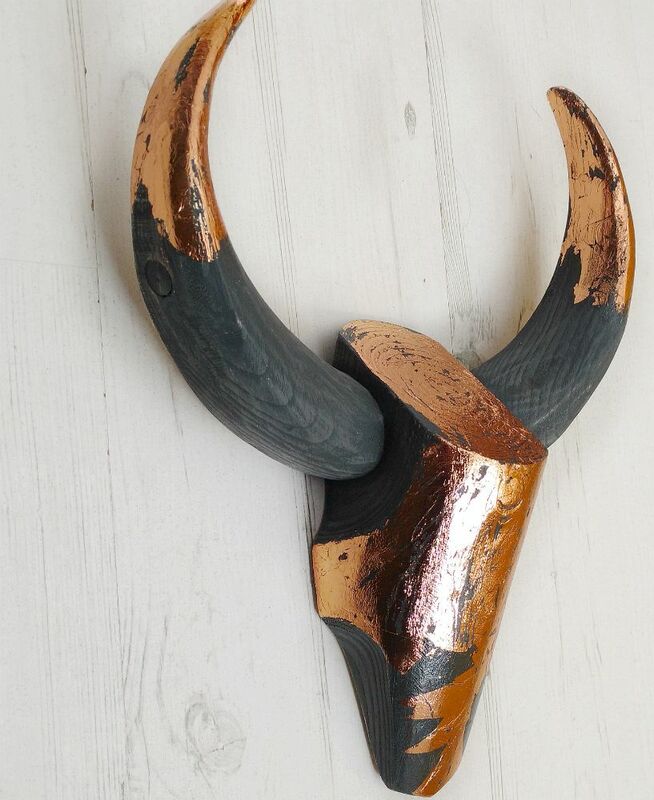 A unique wooden sculpture, this Cattle Skull is gilded with copper leaf. New for 2019, this finish is rich and lustrous, with beautiful red undertones and a luxurious, high shine. 'Valhalla' Skull has been carved by hand from locally sourced softwood, painted in Lamp Black (a soft, near-black) and then gently sanded, resulting in a charcoal shade. 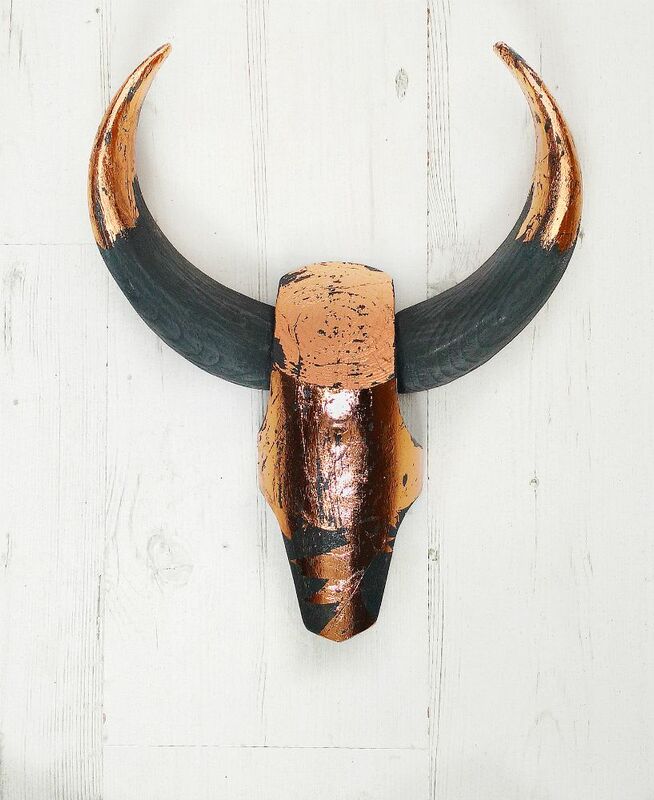 The copper leaf, applied over the top, has also been lightly distressed, to reveal the deep grey colour beneath. 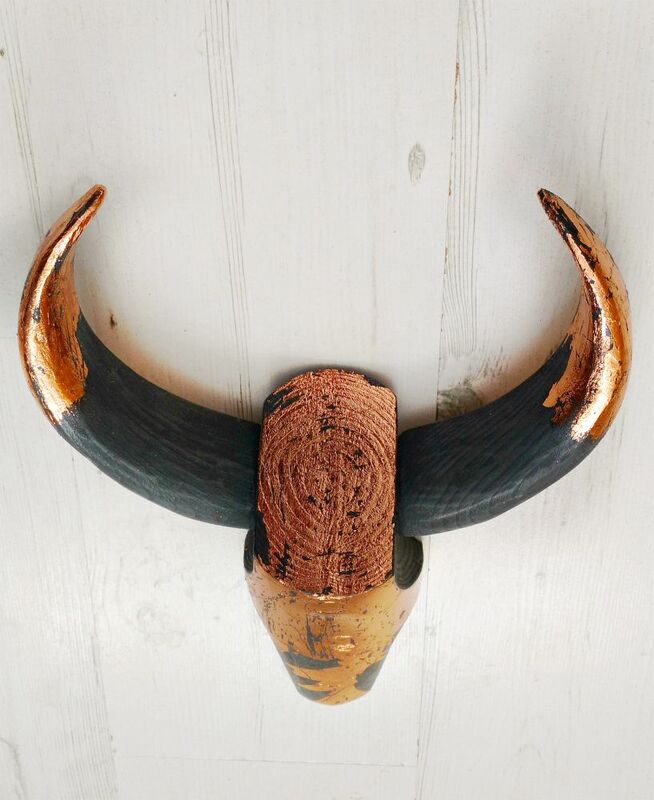 This is a stunning combination that looks intriguing and quite mysterious when hung on a dark wall - or indeed very striking if displayed upon a contrasting light, or white, background. 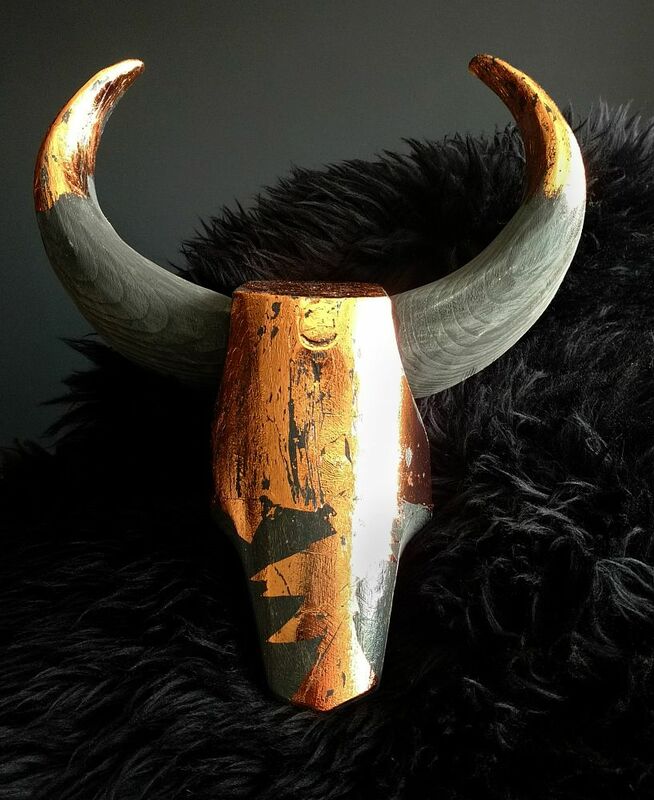 Smaller than our usual Cattle Skulls, 'Valhalla' measures 28cm wide x 35cm high (11" x 13 1/2"). There is a keyhole bracket on the reverse, suitable for wall hanging. This Skull is ready for dispatch; it will arrive in one complete piece via Royal Mail.